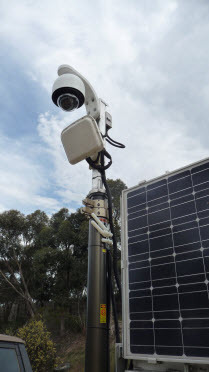 Remote Monitored and Controller, Portable or Fixed location CCTV systems for traffic surveillance at critical sites. 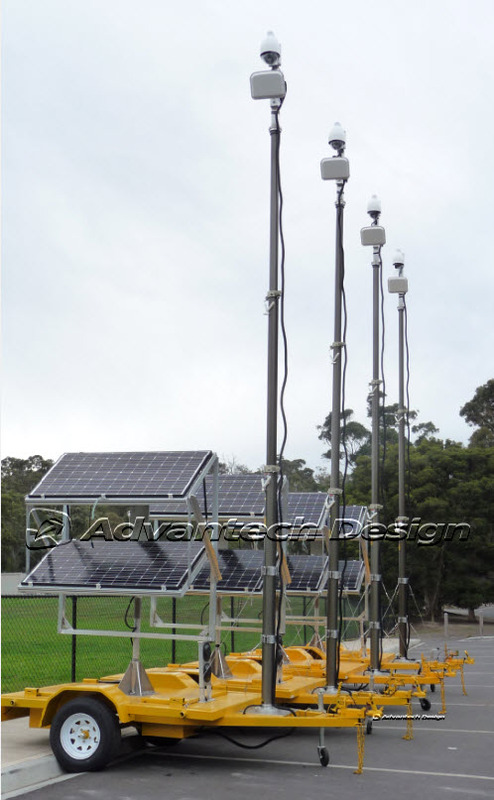 Advantech Design can supply portable secure remote controlled TCP/IP wireless CCTV, specifically designed for traffic monitoring and traffic surveillance. This allows CCTV cameras with extremely high optical zoom capabilities to be deployed in a fixed or portable situation in a secure VPN environment. 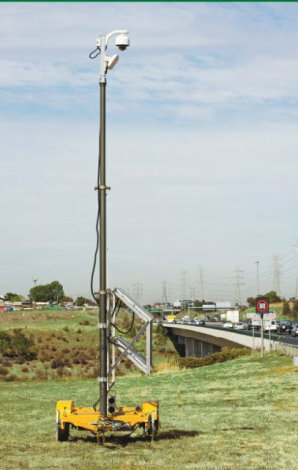 Our system allows Road Authorities to utilise critical remote monitoring of traffic on Arterial Roads, Freeways and Motorways. Furthermore, the Advantech CCTV system provides traffic engineering specialists with the necessary tools to simultaneously monitor traffic performance at multiple locations on arterial roads. 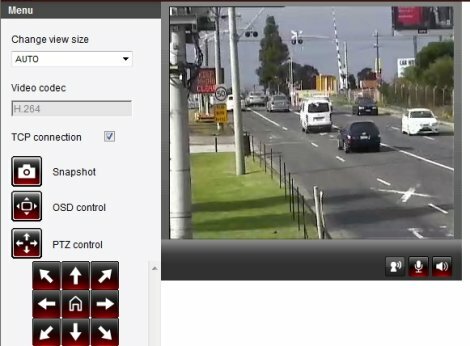 The instant visual feedback provided allows for fast decisions to be made on deployment of the best traffic management procedures to both maximise efficiency of the road network and minimise disruption to road users, thus providing a vital tool in establishing instant traffic evaluation along road corridors. Pneumatic extendable telescopic poles can give typically 8 meter above ground camera height. Pan, Tilt, Zoom, Camera Position presets, Multiple and simultaneous on-screen displays, and Auto-Tracking, together with extremely fast deployment, are just some of the features provide by the Advantech CCTV Traffic Surveillance System.